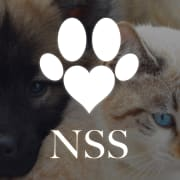 The No Suffer Society (NSS) is committed to improving the lives of unadopted pets worldwide. We are mobilizing stakeholders at the local, regional, national, and international levels to create a united No Suffer Movement that seeks to end poor living conditions for shelter animals everywhere. Leveraging a variety of partner collaboration campaigns, our Global Coalition aims to build a planetary cooperative network with the combined power to achieve new magnitudes of impact for animal rescue. Imagine a place where influential voices work together to solve the biggest challenges facing the world’s unadopted animals. Estimate the number of lives an innovation hub focused on the much neglected animal shelter space would save every year. Picture our planet, divided in so many ways, cooperating for the advancement of a compassionate cause that holds the power to unite communities in every country. This is our vision for the World Rescue Embassy (WRE) - the first global gathering center for rescue leaders, shelter operators, community stakeholders, philanthropists, conscious capitalists, purpose-driven politicians, and animal lovers of every stripe to come together & achieve consensus for those who are unable to speak for themselves. By fostering interagency cooperation, forging international partnerships, and planning for the modernization of shelter facilities everywhere, the World Rescue Embassy stands to achieve an unprecedented level of progress for companion animals and those who love them. Would you recommend The No Suffer Society?